Lynn Rene Anderson (born September 26, 1947 in Grand Forks, North Dakota) is an American country musician, best known for her Grammy-winning 1970 country and pop hit "(I Never Promised You a) Rose Garden". She was one of the most successful female recording artists of the 1970s. She grew up in Sacramento, California with her mother, acclaimed singer-songwriter Liz Anderson who wrote "The Fugitive" and "(All My Friends Are Gonna Be) Strangers", both Merle Haggard hits, among others. She began her solo career in 1966 with "In Person", followed by a hit with her mother's "If I Kiss You (Will You Go Away)". In 1968 she married Glenn Sutton, a future Nashville Songwriters Hall of Fame inductee, with whom she had a daughter, Lisa. (They divorced in 1977.) Consistent hits followed, and she was a regular on The Lawrence Welk Show during the 1967-68 season. In 1969 Anderson signed to Columbia where her work veered a bit more toward a polished, pop sound. She released her signature song, "Rose Garden" in late 1970. The song, written by Joe South, won a Grammy Award for Best Female Country Vocal Performance reached number 1 on the U.S. country charts, and also hit number 3 on the pop charts, as well as being a hit in fifteen countries. 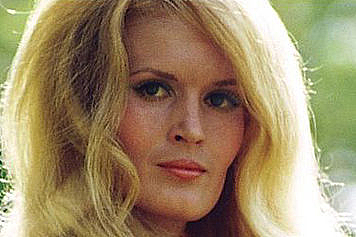 Anderson also received Grammy nominations for her recordings "Big Girls Don't Cry" (1968), "That's a No No" (1969), and "How Can I Unlove You" (1971)> Anderson's other hits during this period included "You're My Man", "Listen to a Country Song", "Top of the World" (a number 1 country record for Anderson before becoming a pop hit for The Carpenters), "Cry", "Keep Me in Mind", "What a Man My Man Is" and "Smile For Me". In 1971, she was voted Top Female Vocalist of the year by both the Academy of Country Music and Country Music Association. Anderson charted eight no.one singles, 18 Top-Tens and earned a total of 17 international Gold records. She was perhaps the most in-demand country female vocalist on network television throughout the 1970's but after 1975 her records usually peaked in the top 20 as opposed to her earlier top ten success. Anderson married a Louisiana businessman in 1978. The second marriage produced two more children, and she was divorced in 1982. Anderson remained one of the top female country singers into the 1980's. Her last top ten record was 1984s "You're Welcome to Tonight". During the late 1980's and early 1990s, she received much press for her disputes with her now-divorced second husband. After spending time on her ranch, raising horses and participating in equestrian events, she began recording again in 1992. "The Blugrass Sessions", released in 2004, earned Anderson her first Grammy nomination in over 30 years. That same year Anderson was arrested in Denton, Texas, for drunk driving. The American Rose Society created and named in her honor a white and raspberry hybrid tea rose. In 1989, the Canadian band Kon Kan sampled Anderson's vocal bridge from "Rose Garden" on their worldwide hit "I Beg Your Pardon". The song title wasn't mentioned in Kon Kan's own lyrics, and was used as an extra homage to Anderson's hit. The song has also been covered in recent years by K.D. Lang, Kate Campbell and Martina McBride. Anderson released a new CD of original songs entitled "Cowgirl" in 2006, all of the songs penned by her mother, the acclaimed songwriter Liz Anderson. Subscribe to Lynn Anderson RSS Feed to get latest lyrics and news updates. What do you think about Lynn Anderson? Let us know in the comments below!